With the Saudi entertainment sector set to make investments worth SR267 billion ($71 billion) in building the necessary infrastructure for cinemas, two leading groups from the region - Vox Cinemas and Carnival Cinemas - are planning to open close to 1,000 new screens across the kingdom, said senior experts at the Cinema Build KSA Forum in Riyadh. Organised by Eyes of Cities in collaboration with Great Minds Event Management, Cinema Build KSA - which concludes today (April 15) - saw leading entertainment project owners, government decision-makers, regional and international retail developers explore opportunities in the cinema sector. The forum has taken the initiative to lead the local cinema industry, brought together key stakeholders across the design, construction and technology sectors to discuss the latest trends and techniques of building world-class cinemas in Saudi Arabia. The event revealed a wide range of new building solutions and equipment used in developing future cinemas, multiplexes and malls, to serve as a key contributor to the industry. 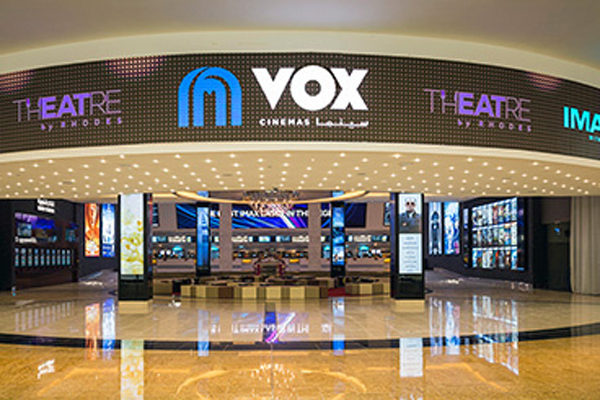 A major regional player, Vox Cinemas, a subsidiary of UAE-based Majid Al Futtaim, was awarded the second licence to open cinemas in the kingdom. The company is planning to pump in SR2 billion into the kingdom's entertainment sector for setting up 600 screens over the next five years, which Saudi officials estimate will bring the total number of cinemas in operation to as high as 350 and the number of screens to 2,500 by 2030. Another big player in the sector, Carnival Cinemas, a multiplex chain in India with presence in 120 cities, is planning to operate more than 300 screens over the next five years in the kingdom. Carnival boasts a total of 162 locations in India with over 470 operational screens. According to a 2018 report from Flanders Investment and Trade, the kingdom is eyeing investments worth SR18 billion annually in the entertainment sector. Considering the crucial need to create a platform to gather the entertainment, construction, technology experts, the Cinema Build KSA Forum in partnership with GCAM, the forum’s government supporting partner, gathered over 300 attendees and Saudi potential market-stakeholders from 30 countries in addition to more than 25 exhibitors for two days. The sessions led by 25 prominent international speakers and industry experts, discussed investment opportunities, business collaborations and future partnerships, cinema industry competitiveness through design and innovative theming, redesigning existing entertainment hubs like shopping malls to embed cinemas, as ways to allocate complementary attractions for maximum profitability, and material selection for different classes of cinemas. On the sidelines of Cinema Build KSA Forum, Carnival Cinemas’ managing director Sunil Puthan Veettil, commented on the company's future expansion plans in Saudi Arabia: "Carnival Cinemas' mission is to take good quality movie-watching experience close to the people in the country. For this, we have made a study of all the provinces and identified several locations, subject to approval. "Our idea is to move to all these provinces to set up entertainment centres and to make Carnival synonymous with cinema across the country," remarked Veettil. On the forum, Leila Masinaei, the managing partner at Great Minds Event Management said: “The world is witnessing Saudi Arabia's confident steps toward an unprecedented era of social and economic reforms. The cinema ban lift opens doors to untrodden grounds for investments and lucrative revenue streams for the Kingdom and the entertainment sector stakeholders." "We at Great Minds Events' envisioned and foreseen the massive growth opportunities in the entertainment sector in KSA hence we are organizing Cinema Build KSA Forum to represent a global platform and bring key entertainment project owners, government decision-makers, regional and international retail developers, family entertainment centers developers, cinemas, etc. and we are very proud to see our vision materialize into reality," he noted.